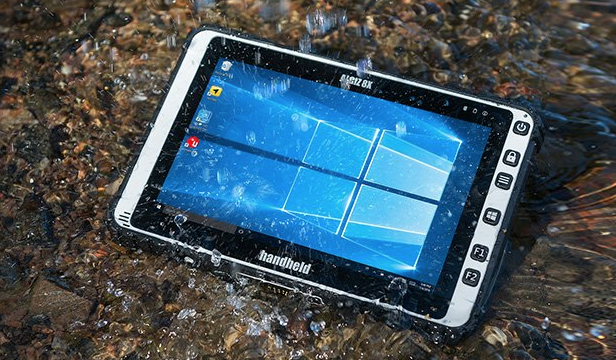 Handheld are the experts when it comes to rugged tablets, handhelds and computers. Their products are designed to withstand regular dropping, exposure to dust, extreme temperatures and even rain. These products have the ability to continue operating under all exposed working conditions for the life of the unit, which can be up to 5 years. 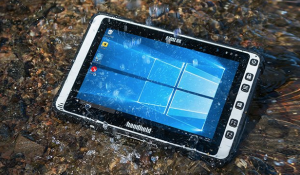 Handheld have created a range of products so you can easily find the right tool you need for the job. It is recommended that you select a tool that is a little more rugged than what you think you need, as one day you may encounter more severe conditions than you first planned for. 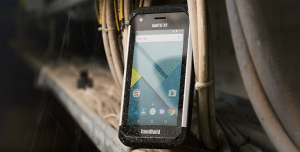 The amount of ‘ruggedness’ is determined by 3 common specifications – temperature range, MIL-STD-810G and IP. The temperature range specifies the operational temperature range of the unit. MIL-STD-810G refers to a standard issued by the United States Army’s Developmental Command, which consists of a number of environmental tests to prove the unit will survive in the field. IP stands for Ingress Protection, which is used to specify the level of protection against solids and liquids. The MIL-STD-810G comprises of about 24 laboratory test methods. These tests cover a wide range of environments such as the ability to perform at high altitude and the ability to survive mechanically induced shocks. Generally, the more methods that have been tested and passed, the more rugged the unit is. When selecting a product, check that the unit has passed the tests relevant to the environment you need it to work in. IP ratings for each product are displayed as a 2 digit number as per the table below, with the first number relating to the level of protection against dust, and the second relating to the level of protection against liquids. Dust protection ranges from no protection right up to total protection against dust. Liquid protection ranges from no protection through to full submersion at depth and under pressure. It is important to conduct an analysis on what environmental factors your unit needs to be protected against prior to making a purchase. Once you have this information, you can use the specifications provided by Handheld to select the right tool for the job.